Back in the day when the Android OS was just making its debut in a market of not-so-smart phones, some iconic features were the stage on which this new mobile platform was established. 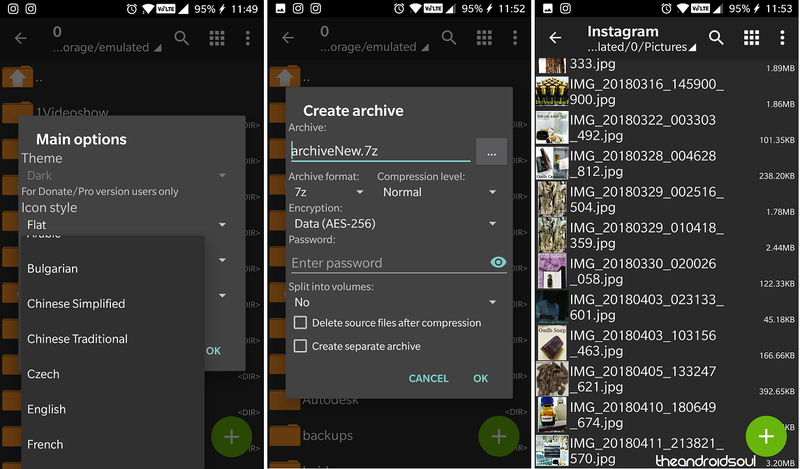 Apart from the media playback capabilities and internet connectivity, what made Android so popular is the fact that you could use it with file managers to view all sorts of content on your device’s storage. Fast-forward a decade, and we see an ocean of file managers on the Google Play Store today, offering so much more than just a backdoor to our devices. Now that even the giants such as Google have joined the market of the best file manager apps, it is imperative that we help you find the one that deserves a slot on your beloved phone. At the very first instance, you won’t find File Manager + to be the most cutting-edge design file explorer out there, but there’s a lot more than just looks. While covering the basics with a clean system file manager interface and assorted content based on format, File Manager + also comes with a Storage Analysis feature helps you view the largest files taking up the most space and cached content, while the Recycle Bin makes sure that you don’t end up deleting something truly valuable. 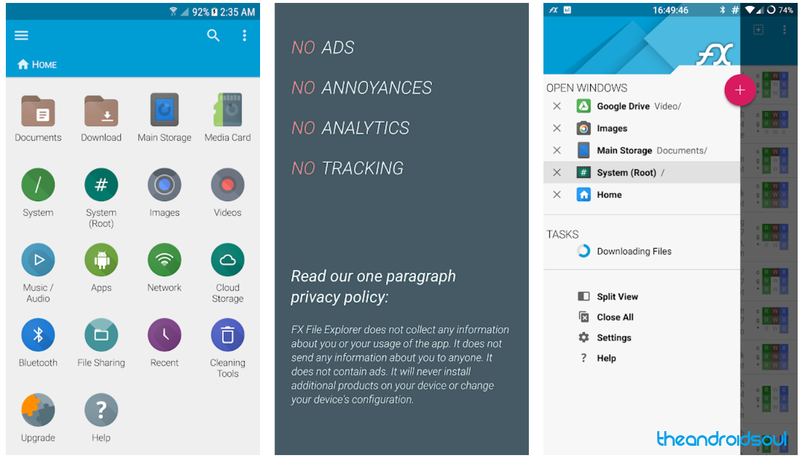 The very first reason we’re going to ask you to embrace this app over the other pesky ones from Cheetah Mobile and DU Mobile is simply that of the fact that there are no ads that come with FX File Explorer and it does not track user data unlike some other big names in the business like ES File Explorer once did. Packing a clean Material UI design through and through, there is even a root-enabled version of the FX File Explorer for the tweakers out there. From offering banking-grade security with file encryption and the ability to network with features such as FTP, SSH, WebDAV and more, there’s no limit to what this file manager can do. Up until this point, we’ve included file manager apps for Android that are truly built to help you access every nook and cranny of your device. 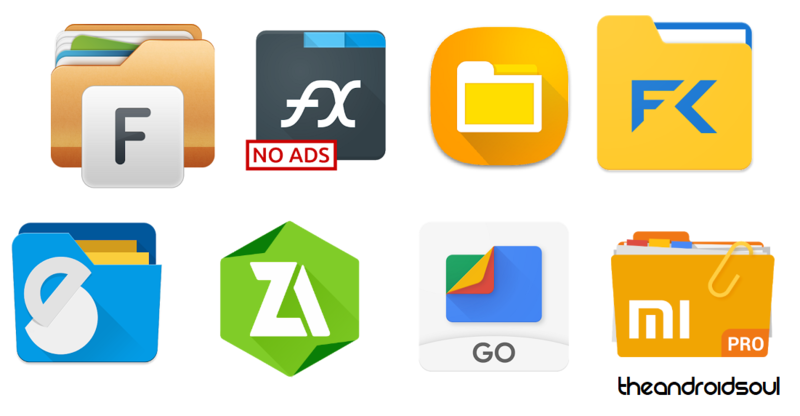 However, File Go is more of an honorable mention, for not just being Google’s very own file manager app, but for working the way none of the others do. Built to help you not only view, edit, delete and move all kinds of data on your device, this file manager actually learns about the content that matter to you to the most, while suggesting ways to get rid of non-essentials and keep your phone clean. It isn’t quite too often that you find Android OEMs developing apps that are not only openly available on the Google Play Store, but worth a lot of praise. The Asus File Manager is one such exception, but what makes this app one of the best file manager apps for Android is the slew of features it hides behind its simplistic user interface. While you get all the regular stuff like searching, moving, and sharing files, there a bunch of exclusive features in the form of storage analyzer, recycle bin, hidden cabinet, multimedia streaming and more. Xiaomi is among those Android OEMs that needlessly packs its devices with system apps, but the File Manager by Xiaomi is one that’s just too good to be kept exclusive. 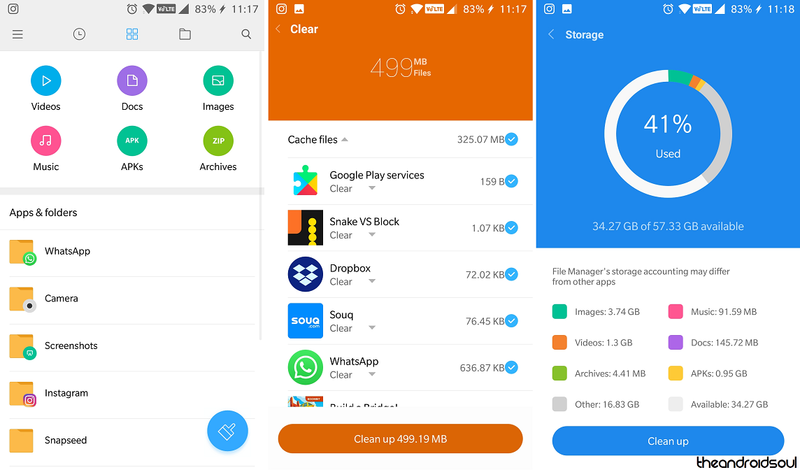 Xiaomi has not only kept the File Manager ad-free and with the iconic MIUI design, the app comes with not just a built-in Cache cleaner to keep your device from slugging up, but a proper Storage manager tool to help you identify what takes up the most space on your mobile device. Although the free version of the app with only last you 14 days, it is more than enough to help you realize that Solid Explorer is the one for you. 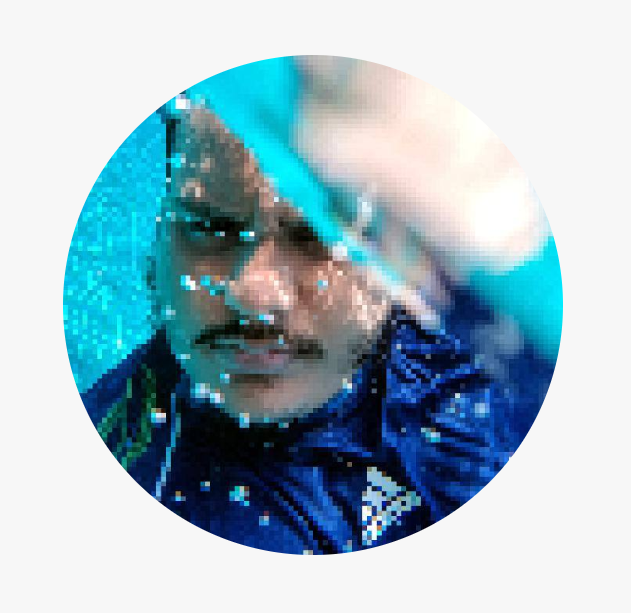 Banking heavily on security and protection, the app is dedicated towards offering features such as password-protected ZIP files, Material design with a simplistic drag-and-drop user interface, the ability to add password and fingerprint encryption to any file or folder, and Chromecast support that makes it the perfect tool to connect your data on the cloud to the big screen. We started liking MobiSystems File Commander back in the day when it came as a staple on Xperia devices, and the app has only improved since then. 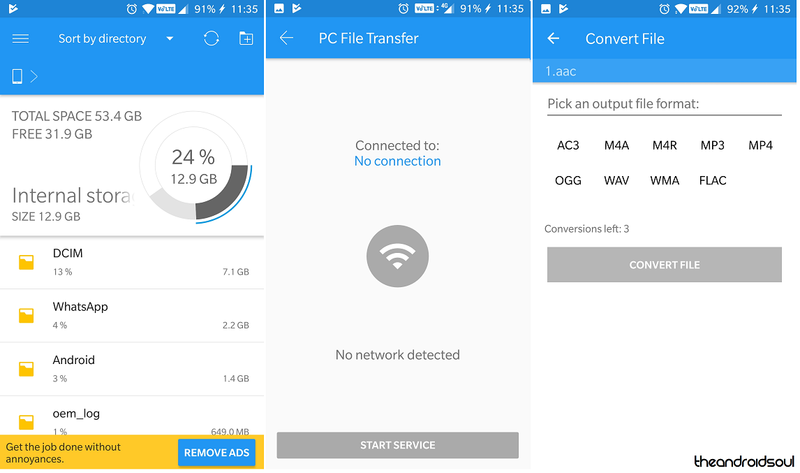 Packing ads that are minimally intrusive, this file manager for Android offers a PC File Transfer tool, along with a Converter tool that can do more than you’d have the need for. While the free version of the File Commander app is self-sufficient, you get an ad-free experience with the Premium version, along with a MobiSystems Drive for cloud storage, Recycle Bin, Storage Analyzer, Secure mode and more. ZArchiver app may not be your run of the mill file manager for sorting and viewing system files, but the fact that is a singularly incredible archive management tool makes it worthy of a spot on the list. Offering an ad-free experience from top to bottom, the app comes with multilingual support, ZArchiver allows you to not only compress files into 7 formats, but also encrypt them with AES-256 BIT security for not just complete privacy, but a reliable way to store larger files on your device in a manageable format. 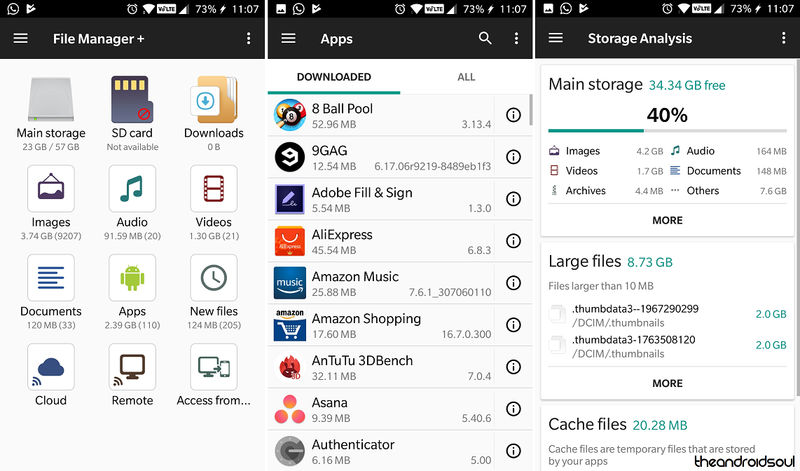 Which of these best file manager apps for Android will you take out for a spin, or would you rather stick to the basic file manager app that your device came with preinstalled?